During the course of all the trade fairs, the Press Office, located in the Conference Centre of Kielce Trade Fairs, is open to journalists. Upon presentation of the valid press identity card, all journalists are given materials related to the exhibition, trade fair catalogue, and an identity badge entitling them to enter the area of the exhibition. At the Press Office, journalists can use a computer, Internet, fax, and telephone. 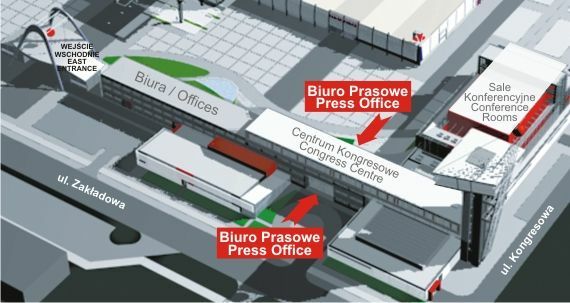 Within the premises of Kielce Trade Fairs, journalists are allowed to park their cars in a specially assigned car park for the press.